Give in and buy the toy to avoid a scene. Drag your child out of the store in the midst of a loud, whiny meltdown. Let your child make the decision, using his own money. Option three is calmer, more reasonable and just might teach your child some money management concepts. I think that if a child has his own money and the opportunity to make his own decisions with that money (within each family’s individual parameters), then the decision to purchase the toy becomes the child’s decision, not the parents. It can remove the power struggle that often leads to meltdowns. 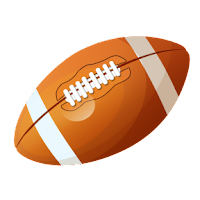 I am a mother of four and it constantly amazes me how much more thoughtful and careful my kids are with their own money as opposed to “Mom’s money.” We were recently in a department store and my ten year old saw a new football that he really wanted and asked me if he could buy it. I asked him how much allowance and money he had. He didn’t know. I pulled out my cell phone and checked his MoneyTrail account (visit our MoneyTrail info pages to learn more). He did have enough to buy it but it would use every bit of his money. We put the football in the shopping cart and he really thought about it while I finished my shopping. Before we got into the checkout line, I asked him once more if he wanted to get it. He did and he has played with it quite a bit since then. It was a good purchase. On the flip side, my seven year old had saved his money for a few months until he had $20. We were at a store and he saw a remote control helicopter that really interested him. We checked his MoneyTrail balance and learned that he was $3 short of having enough to buy the helicopter. I was willing to go ahead and make the purchase but explained to him that he would use all of his money and still owe me $3, which could be paid through chores or giving me his allowance for two weeks. He thought about it and decided, on his own, that the helicopter wasn’t worth that much. He returned it to the shelf and didn’t buy anything that day. There were no tantrums or whining. I am not saying that my kids are now perfect angels when we shop ---- they are kids and sometimes meltdowns will happen, no matter what. However, the number of meltdowns has greatly been reduced and thoughtful, age-appropriate financial conversations have taken their place. Do you let your child make decisions with his money? Share your stories in our comments section.